AHMA stands with each of our communities to ensure the safest and most successful procedures during all environmental emergencies. 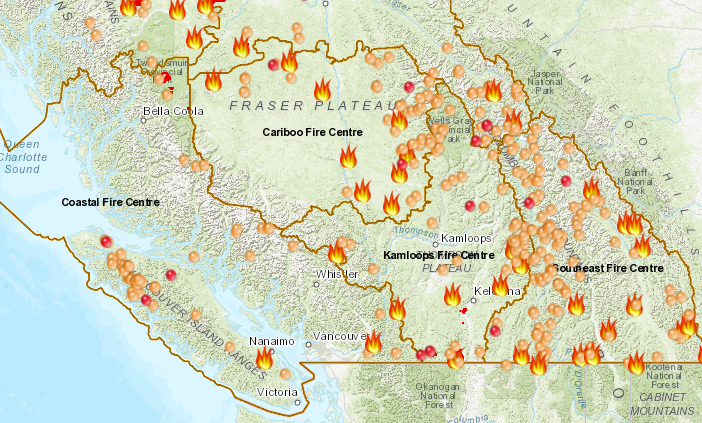 This page was created to provide an easily accessible index for all BC wildfire updates, resources and support contacts. Always notify your local emergency response teams first in the case of a wildfire. The BC government created a list of contacts organized by regions here. Another important and helpful organization in case of wildfires is the Canadian Red Cross. Call 1-800-863-6582 to make an appointment to meet with a caseworker at one of the Support Centres. If an environmental emergency or wildfire has effected AHMA members operations and or tenants, we encourage our Indigenous Housing Providers to get in touch with your Aboriginal Portfolio Advisor (APA) by calling our main office (604) 921 2462, if your APA is unavailable you can contact Carol Endrizzi (778) 229-9193 or Sarah Silva (604) 649-9992. For updates and status on current fires in British Columbia click here for latest information. For regional updates click here to find your district created by the government of BC. Air Quality Health Index - (AQHI) is updated to help you understand what the air quality around you means to your health. Check Drive BC for details on any road closures before travelling during wildfire season. Be Prepared! Emergency kits, evacuation checklists & more. Click here for helpful tips, ideas, lists and guides to be prepared for wildfires. Organize plans, packages and familiarize with resources available to you.